Hana Fubuki, Koi Fubuki was a theatrical performance, performed by Japan Philology student of Maranatha Christian university on may 5, 2008. 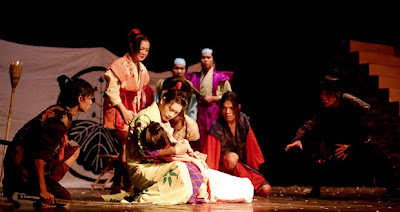 The real story was made by well known theater in japan named Takarazuka. 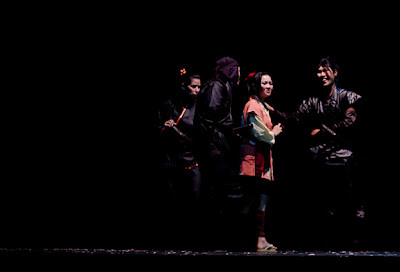 Held in Theatrical Room of Center of Administration building, this event was attended about 300 people. 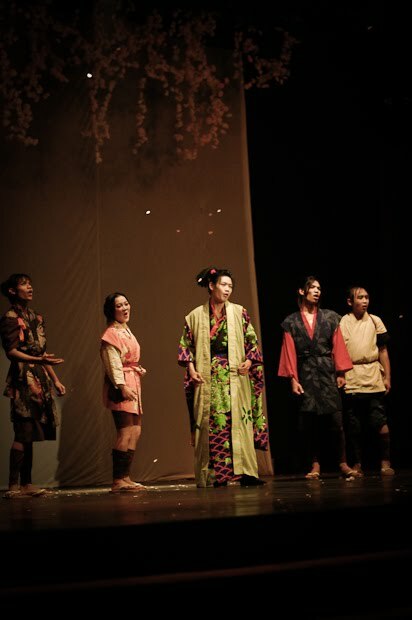 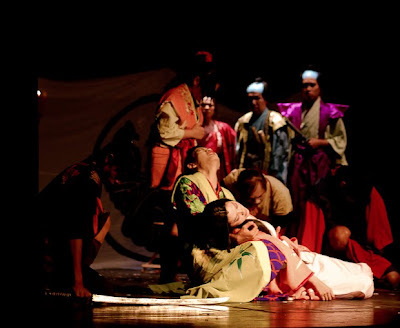 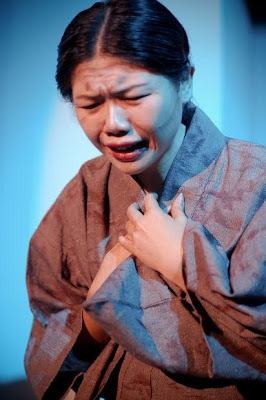 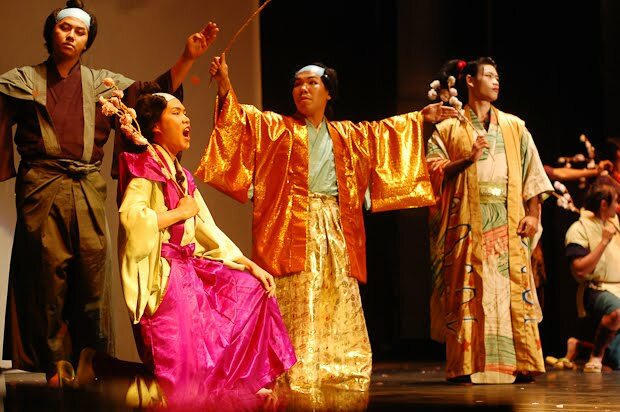 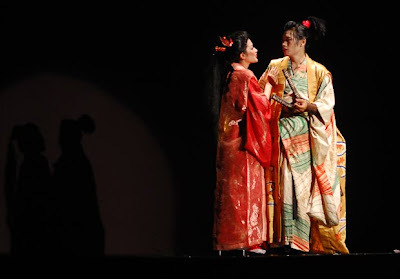 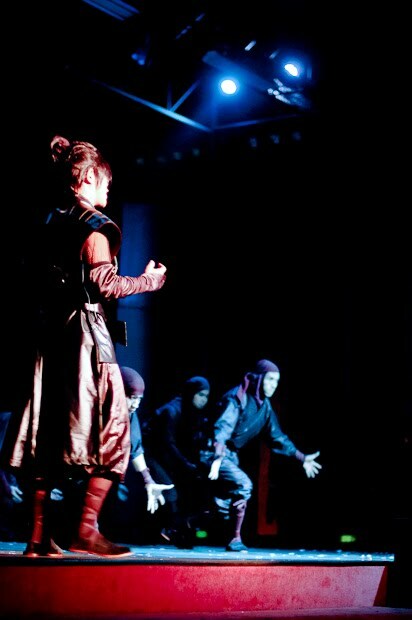 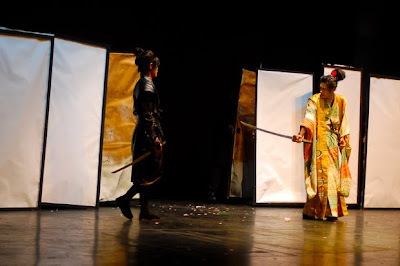 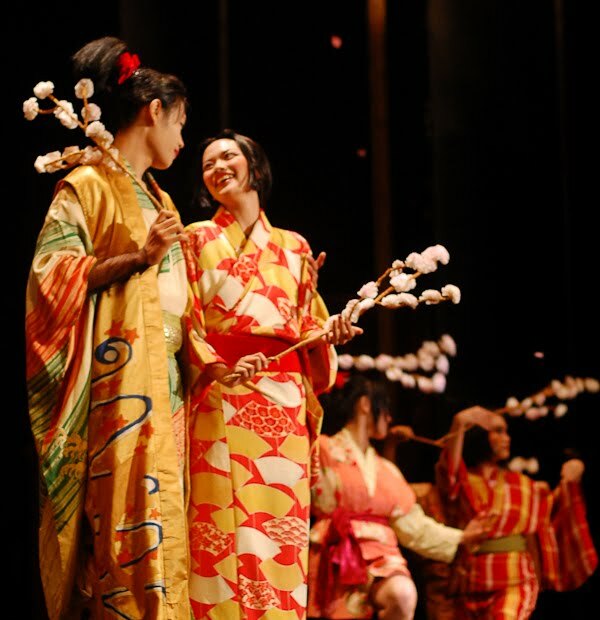 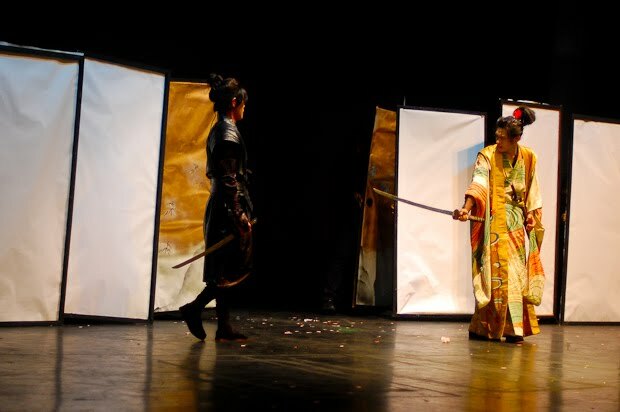 This act was performed using Japanese dialogue with Indonesia narration. 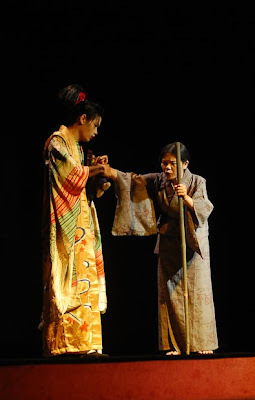 The story itself is about a well-known Japanese thief named Ishikawa Goemon who lived in Sengoku Era (15th century). 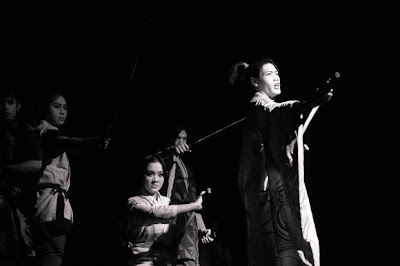 At that time, Japan is filled with politics intrigues, economy, and military while at the same time, the Ninja clan had its own predicate in the society. Because of the poverty, little goemon (Bungo) was sold by his own mother to a ninja village–known as Iga Village. In Igo village, bungo later on became a though ninja. 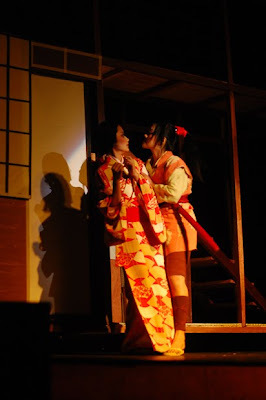 Also at that place too, he found his soul mate, Hatsune. When he grew up, he was undoubtfully wanting to be a ninja. 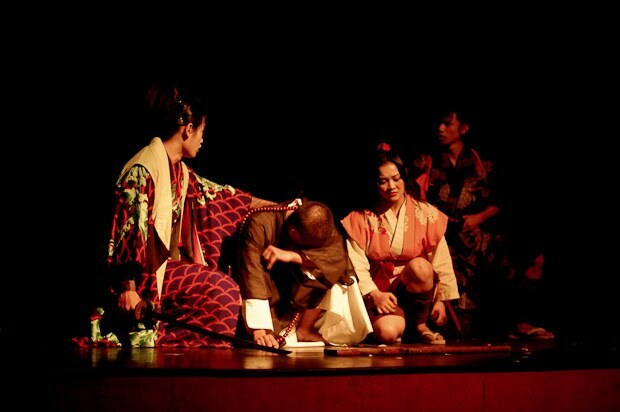 Together with hatsuni and 4 mates, he escaped from the village and became a thief whose aim was to help the poor. Ever since, he started his story about a life of Ishikawa goemon: a legend about love, fellowship, betrayal, and sacrifice. 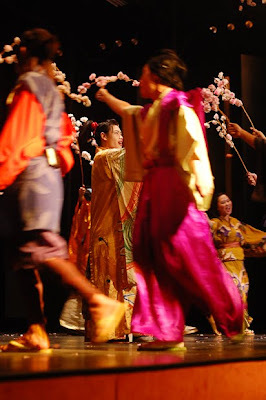 I was using my Nikon D40 and analogue lens 50mm fix f 1.4. 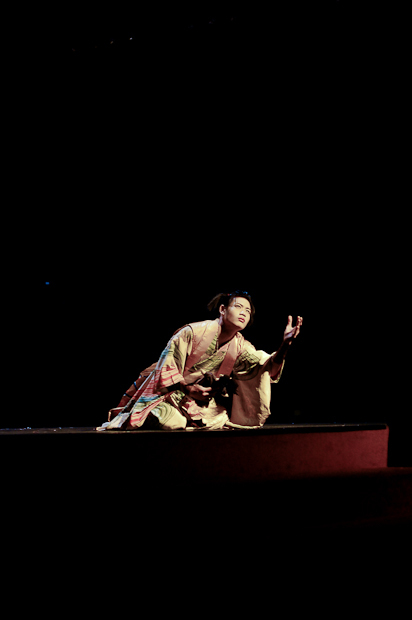 So many miss focused happened because of the different format between digital and analogue. 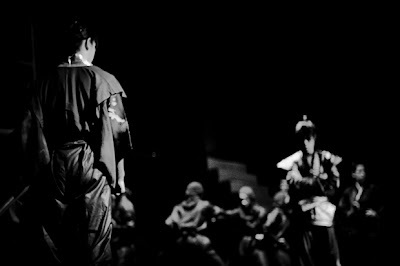 -_-;; quite hard to synchronized it in a very very small depth of field. Fiuhh. 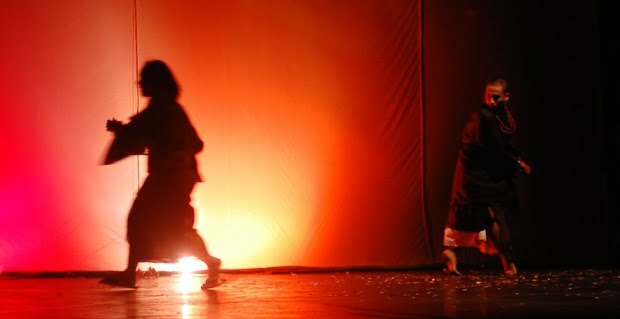 hi..!!! gw baru aja nemu blog ini stelah 2 taun.. kenalin, HATSUNE.. hehehe..
@ anonymous.. *_* bahkan dirimu tak ada namanya, gimana caranya aku taunya -_-"
By the way, nemu alamat ini darimana? Sbenernya aku kurang suka kalo foto2 ini di upload di fb, tapi paling beberapa gpp, dan dikasihtau itu diambil dari sini. 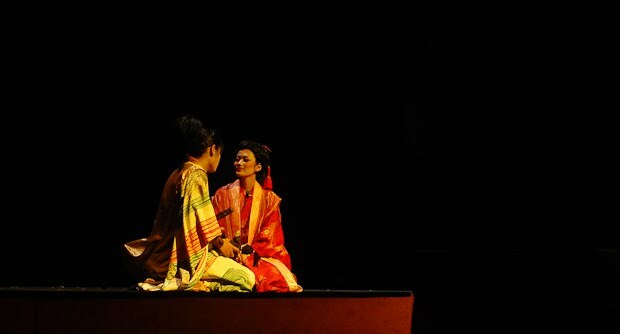 gw Billy, yg jadi perat utama caweknya.. yg mati trus idup lg jadi geisha..